A volcanic island kissed by the ocean where the sun is shining all year round, great waves make happy surfers from all over the world; this is not Hawaii, it is Tenerife, a surfer paradise just a few hours away from Europe. The best part of this dream? There is no dangerous sharks trying to bite your feet during the surf sessions; either you are a professional or a beginner you just need to pack your bag, get one of the hundred flights that reach the island every day and prepare yourself for a great surf experience. Tenerife is the biggest and most populated of the Canary Islands, dominated by Teide, an amazing volcano 3718 meters high right in the middle of the island; its impressive altitude creates the conditions for different microclimates. For this reason the eternal spring island is rich in nature and beautiful panoramas, in fact you can enjoy fabulous landscapes and outdoor adventures if you feel like having a break from surfing. Now I am sure you are about to ask me about parties; no worries, we are party animals and expert night owls and we will be happy to advise you about the vibrant nightlife of Tenerife; our excursions shop is based in Playa de Las Americas, the main tourist area and nightlife capital of the island, here people can dance all year round in the best clubs like the “Papagayo” or the “Monkey Beach”. Hey, don’t forget why you are reading this article! You want to know about surfing, so let me explain you where the best spots are. There are many surf schools and shops where you can rent or buy your equipment, book a surf class or meet local surfers and get information about the best places and conditions to surf; here I want to suggest you only the best ones. The particular morphology of the coast in Las Americas makes it possible to catch the best waves, here we find several surfing spots in only one kilometer of coast, just walking distance from all the hotels and resorts of the area; in the spot “La izquierda” local surfers could be a bit jelous and aggressive, this does not happen in the other famous spots of “El Medio”, “El Bunker”, “La Derecha”, “Piscina”, “El Dedo” and “Fitenia”. In Tenerife the nortwest swell is narrow but the northeast wind allows glassy conditions; in the east coast during summer we find good conditions in El Medano, Las Galletas and some heavy spots like “El Confital” when southeast-southwest wind swells. 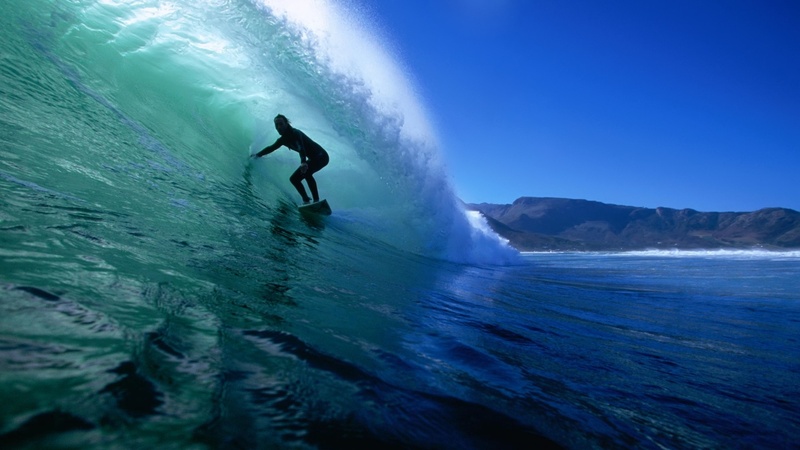 In the northern coast Bajamar is home to a few solid reefs in north and south winds plus the beach breaks at Almáciga and at El Socorro; the east coast is largely poor of spots but during special conditions it is possible to catch nice waves at Igueste de San Andres or at the less known beach break of El Poris. In the west coast we find some good waves just in Alcala’; the place offers three peaks, k16 is only for local body boarders and the other two,” El medio” and “Lo chalet”, are for experienced surfers, so they are less crowded spots. Tenerife presents northwest swells so it makes sense to go in winter when these are prevalent and when in the rest of Europe is cold, anyway there are good surfing conditions also in summertime. 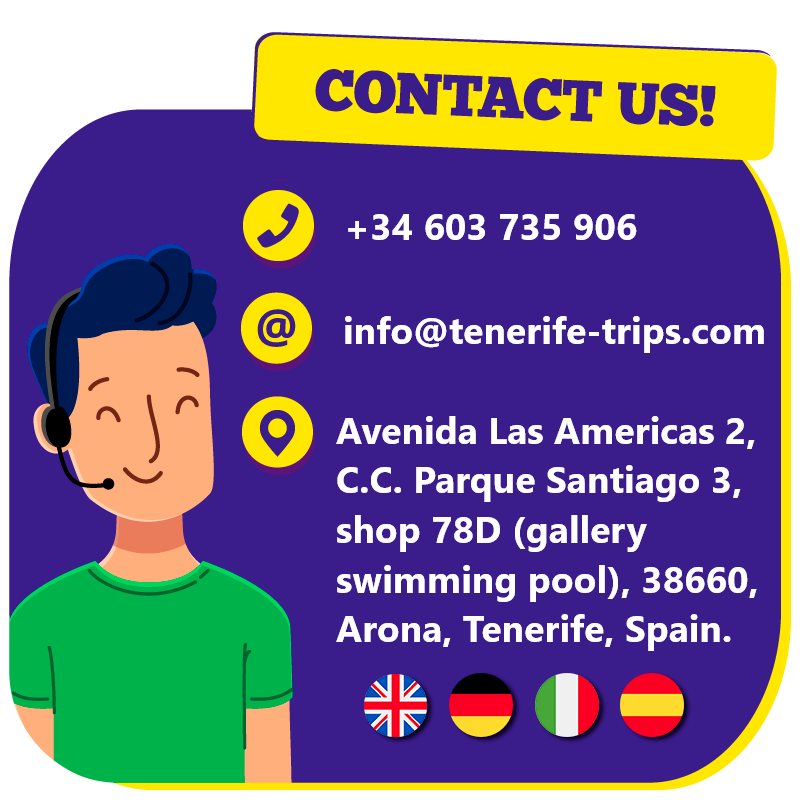 If we got your interest and you want to cultivate your surf passion in Tenerife contact us, we will be happy to give you more information and suggest you the best solutions to enjoy this fantastic island.